Grippo's and Ski are an Evansville tradition. Hot dogs and apple pie may taste like the American Dream, but you haven’t had the Evansville Dream until you’ve opened a can of Ski and a bag of Grippo’s. “We’ve had the big boxes of Grippo’s and plenty of Ski to go around at every family gathering for as long as I can remember,” says Evansville native Shelby Beavin, who averages several cans of Ski a day and has even painted the Grippo’s and Ski logos on her nails. The chips have been around since 1959 and come in a variety of flavors, like Cheese and Jalapeno or Sweet Bermuda Onion. But any true Evansville westsider knows the best way to get the Grippo’s experience is to stick with barbeque – a flavor so popular that they even sell bottles of Grippo’s Gourmet Bar-B-Q spice. The chips start out sweet. But, don’t get too comfortable. The more you eat, the more the chips dissolve into an explosion of spicy barbeque goodness. 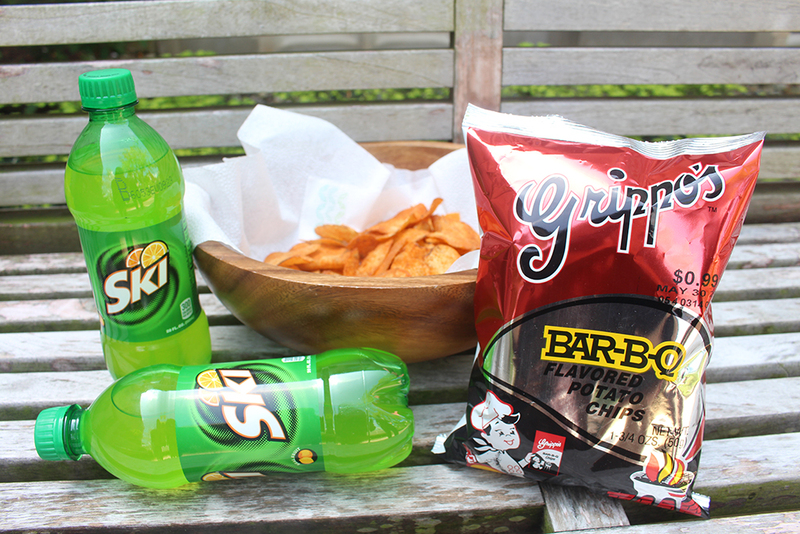 Grippo’s fans know the only acceptable way of soothing the bold flavor is by taking a swig from a cold can of citrus-flavored Ski. The lemon-orange soda is produced by Evansville’s only remaining local bottler, RC Beverage Company, a staple in Evansville for over 50 years. Today, it manufactures 170 million cans and bottles and distributes products to two million people each year. The combo can be found in most Evansville grocery and convenience stores. If you want to take your enthusiasm to a whole new level, Evansville’s Azzip Pizza offers the “Westsider Pizza,” a pizza topped with Grippo’s chips and a Ski concentrate. Grippo’s can also be bought online at www.grippos.com. Ski can be found in most southwestern counties in Indiana, from Warren to Posey. “I love them both individually, and eating two good things together just seems to make them taste even better,” Beavin says.